Among the most extreme weapons ever devised by the 3rd Reich certainly lays the Sturmmörserwagen 606/4 mit 38 cm RW 61, better known as the Sturmtiger. It was conceived right after Stalingrad, when the need to clear off fortified buildings, pillboxes and blockhouses, sometimes all at once, was deemed useful. The sheer explosive power needed imposed special ammunition, a special gun and, therefore, a special carrier, which was itself armored enough to operate safely in an urban environment and be able to get close to the target. The Sturmtiger (literally “assault Tiger”) did not come out of the blue. It was preceded by the Panzer III based Sturm-Infanteriegeschütz 33B, armed with the 15 cm sIG 33/1 (24 built), and the better known Sturmpanzer IV Brummbär, armed with the 15 cm StuH 43 L/12 (300+ built). But at a time when infantry weapons became a bigger threat, a more heavily protected vehicle was needed. At the same time, engineers from Alkett (whom naturally were given this task) sought for a way to procure a “bigger bang” and started working on an adaptation of a 210 mm (8.27 in) howitzer. However, the process took time and the weapon was barely available, so, in turn, they choose a radical expedient, the depth-charge thrower of the Kriegsmarine, capable of launching (at a quite limited range, though) a 380 mm (15 in) caliber shell. To compensate, rocket-type ammunition was designed, and the device, initially devised to hunt submarines in the deep, became a rocket launcher designed to level entire building blocks. Armor scheme of the Sturmtiger. To support the level of armor and weight of the gun and ammunition, a sturdier chassis than the Panzer IV was chosen, even sturdier than the Panther, that of the Tiger. Plans were ready in mid-1943 on Krupp’s side (hull), passed to Henchel for the chassis assembly, and then Alkett for the fitting of the casemate, gun and equipment. The prototype was presented to Hitler in October 1943, approved, and the first was scheduled to be delivered in December, but actually arrived in February 1944. However, the production was delayed by Hitler and, eventually, 12 surplus hulls were chosen for conversion on 19 April 1944. The first three of this new batch were completed by Alkett in August 1944, and seven other between the 15 and 21 September 1944, plus five others in December. The chassis was mostly unchanged, with a sturdy drivetrain resting on interleaved metal roadwheels, torsion bars and large tracks for a better grip, plus the Maybach HL230P45 V-12 water-cooled engine, which developed 700 PS (690 hp, 515 kW). The only problem was that the Sturmtiger, complete with its reinforced casemate, weighed 68 tonnes (75 short tons; 67 long tons), versus 54 on the original Tiger, reducing the power-to-weight ratio to 10.77 hp/tonne. Top speed was reduced to 40 km/h (25 mph) and the range to 120 km (75 mi). This was by far the heaviest part of the tank, made of five plates (counting the roof), with the side ones being 82 mm (3.23 in) walls, slightly overlapping. The front plate was 150 mm (5.9 in) thick, inclined to 47°. This was equivalent to 200 mm (7.87 in) of unangled RHA, and could withstand 122 mm (4.8 in) and 152 mm (6 in) shells. The original hull front was 150 mm thick (100 mm/3.94 in plus a 50 mm/1.97 in additional plate). The superstructure rear was 82 mm (3.23 in), the roof was 48 mm (1.9 in) and the engine deck 28 mm (1.1 in), like the bottom. The most compelling feature of the Sturmtiger was its 380 mm Raketen-Werfer 61 L/5.4 breech-loading rocket launcher. Each of the projectiles were 1.5 m (4 ft 11 in) long and weighed 376 kg (829 lb) – battleship size. Therefore, manual handling was impossible and a special loading apparatus had to be created, which alone created a lot of work for the gunner and loader. The resupply process was an even more difficult exercise, which was helped by an external crane mounted over the casemate roof hatch. Only 14 rounds could be carried, including the one already loaded in the chamber, ready to fire, and another laying on the loading tray. So, although roomy in appearance, the casemate internal space was taken by these massive rounds, stored in their wall cradles. Each of these rounds had a 125 kg (276 lb) HE or a shaped charge, designed to puncture up to 2.5 m (8 ft 2 in) of reinforced concrete. Range varied between 5,650 m (6,180 yd) and 6,000 m. The initial slow speed was given by the mortar, at 45 m/s (150 ft/s), accelerated to 250 m/s (820 ft/s) by the rocket charge. Nevertheless, the blast needed to be cleared and a ring of ventilation shafts was welded around the barrel. Close defence was not forgotten, and a 100 mm (3.94 in) mine launcher was located at the rear of the loader’s hatch, plus a ball-mounted 7.92 mm (0.31 in) MG 34 machine gun in the front plate. Small arms could be fired through the side walls pistol ports. Barrel of the 38cm launcher – Credits: Dave Highbury. Only 19 vehicles were produced between October 1943 – January 1945. This behemoth was deployed in small numbers in three units created for it, the Panzer Sturmmörser Kompanien (PzStuMrKp) (“Armored Assault Mortar Company”) 1000, 1001 and 1002 (14 vehicles in total, later reduced to 4 – two platoons). The PzStuMrKp 1000 was baptized in the Warsaw Uprising, with two vehicles and apparently the prototype. This was the first and last time they were employed for their intended role. The PzStuMrKp 1001 and 1002 served in the Ardennes Offensive. After that, Germany was on the defensive, two units (7 vehicles total) were deployed at the battle for the bridge at Remagen, attached to the 6th SS-Panzer Armee, where they pounded the Allied advance on the bridge itself, with poor results. These two units were later mostly used for punctual bombardments of Allied forces, before being captured in turn. They played a crucial role, slowing and pinning down the Allied advance, helping the German retreat, noteworthy at the Battle of the Reichswald in February-March 1945. Outskirts of Warsaw (Warsaw uprising), August 1944. Typical “ambush” camouflage, Reichswald, Germany, February-March 1945. Sturmtiger receiving ammo. This was a tough job, in which the whole crew was fully involved, due to sheer weight of the ammo. Sturmtiger at the Sinsheim Museum. 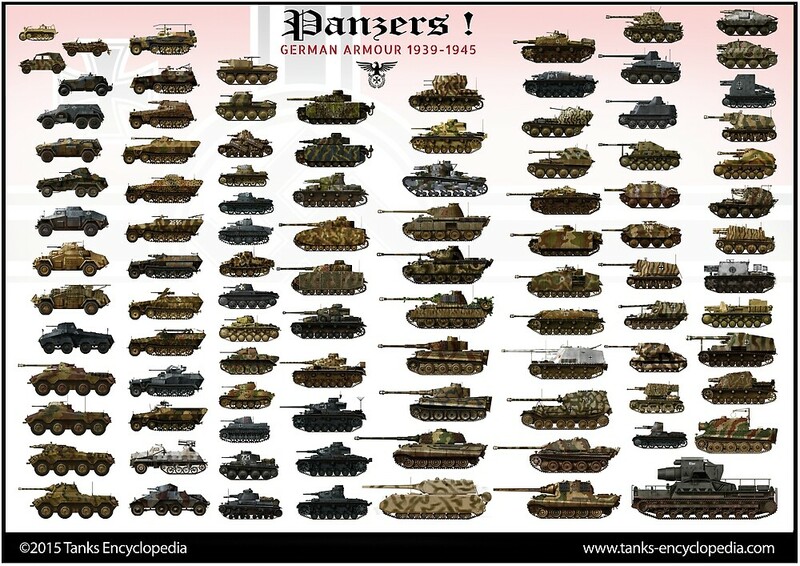 I’m missing: Jagdtiger, Heuschrecke, Marder III and Sturer Emil on this Page. These are important german AFVs of this Era. Hi Enigma, they will be all covered in time. Have patience, or help us by joining the team ! Thanks! What exactly does the FCS data field mean though? I notice that several of the pictures show the Sturmtiger with and without its crane. The drawings show it with its crane. As the crane was only used to reload the vehicle’s ammunition I would think that in action the crane would be dismounted unless the vehicle was being used in the artillery role. I am looking for information on how the crane would be stored in combat. Having it stick up while engaged seems non-tactical. One picture shows the rear of the casement with the mount for the crane empty, so it must have been capable of being removed and presumably stored, possibly folded, somewhere on the outside of the vehicle. Most likely the rear deck. Is there any information on this? I am modelling a Sturmtiger battery and just don’t see putting the cranes mounted as shown but can’t find information on their stowage. This is a guesstimate. First round was loaded with special fuze (one that would not be affected by being hit) so it could be immediately fired. The second round was carried on the loading tray. I would expect this round could be loaded within 2 to 5 minutes ready to fire. Follow on rounds anywhere from 10 to 30 minutes. Location of the ammunition racks and needed cool off time would affect this. So, two relatively quick shots, then 2 rounds per hour. After the first two shots I would expect the crew to reload one round and have a second round ready on the loading tray. They would then move to the next target. For indirect fire 1 round every 30 minutes after the first two shots. As artillery these wouldn’t be very accurate. On the other hand it is a 15i inch shell with a quarter ton of explosives in it. Useless as an anti-tank gun except for direct fire at AFV moving directly towards the Sturmtiger and it would be blast effect. HEAT round was for penetrating concrete. 2 rounds per hour?..thats way off..more like 1 round per 60 seconds… the loading system and. And ammo rack. Inside the sturm tiger were fairly efficient… loading the tank itself was a different story.